I entered into book six with optimism. After the last few books I was intent on embracing the quirky and jovial manner in which Snicket address his readers and warns them from his nasty and worrisome book. I would take in the repetition and accept whatever happened. And I think I picked the best book to start doing that. 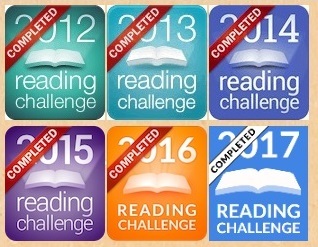 There is a greater continuity from the previous book than before. There is unfinished business outside of the Baudelaire children that flows into the narrative, which in turn adds more to the story. For the first time the new guardians of this book are a married couple, rich neighbourhood, fancy home, expensive things and unimportant priorities. There is a great obsession about obtaining and following what is “in” at the moment. As obscure and ridiculous as these “in” things are, it was a great reflection of the reality of people and their “in” obsessions, even today. The guardians are peculiar as always but not that bad, being a married couple you get two contrasting personalities and they balance out each other in terms of their level of ridiculousness, it is not even strange or surreal, it is just this wacky that is floating somewhere around the absurd region. 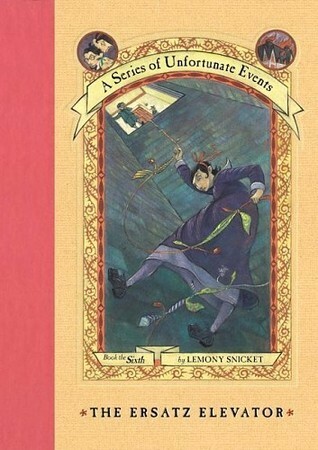 One aspect that I do like from Snicket is that throughout these books there are multiple references and chances to highlight a kids special talent which is never a bad thing. Whether it is inventing or reading, or even biting things, Snicket takes these talents and uses them for useful purposes and they help make a difference. It’s also taken this many books but I am finally just closing my eyes and accepting that despite being an infant, Sunny can do what any other person can do, even climbing ropes, so it isn’t a stand out annoyance as much. If we accept her as one of them then it doesn’t make my head hurt as much about she manages to do half the things she does. There are new developments and twists as well through The Ersatz Elevator, but there are also some things you just have to accept no matter how insane or unrealistic. The underlying mystery and story has taken awhile to kick in, but now that it has you can involve yourself more in the story; they are not just variants of the same storyline like before. Being the sixth book, and having seven to go I hope they stay as engaging as this and not revert to the repetitive nature of the first few. And as much as you try and read them as their own stories, they are undoubtedly connected, and reading them together makes you realise the writing and narration a lot more. But Snicket seems to have changed his approach a little which I welcome and hope he maintains. I look forward to book number seven.